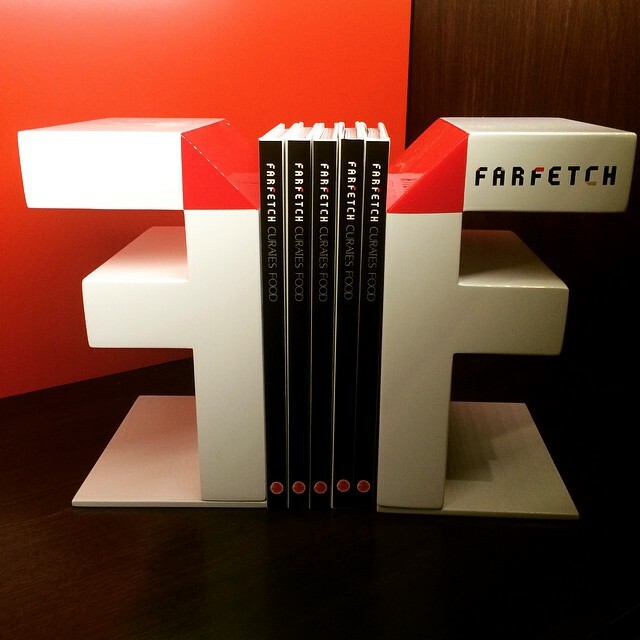 Is Farfetch’s augmented retail a customer service coup or just an excuse to mine our data? There are benefits for customers in getting over the online shopping ‘privacy bump’ as it’s known in retail circles. Giving away your personal data for rewards is looking a whole lot more interesting, with the prospect of having over 300 global luxury boutiques (and their inventories) at your beck and call, whenever, wherever and whether you prefer to shop on or offline. 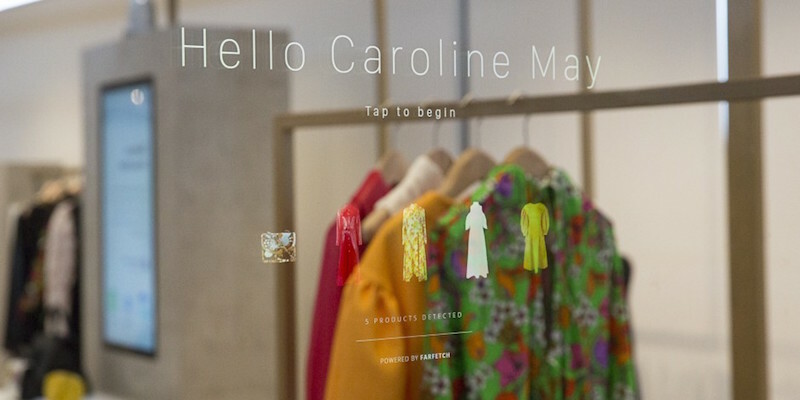 That’s the main premise behind the new Farfetch Store of the Future concept, a connected retail app that joins the dots between physical retail and online shopping behaviour, via the latest in-store tech – from RFID-enabled merchandise and magic mirrors to WeChat payment and Apple Pay. Launched to partner retailers and brands at the luxury boutique platform’s first ever FarfetchOS conference last week, the universal login app offers consumers the opportunity to combine their digital wishlist wanderlust with a live in-store experience. Meanwhile, brands that sign up to the bespoke suite of tech, can tap into shopping data analytics driven by Farfetch’s 1.6 million customer records. That’s a lot of valuable data right there. Now that consumers are increasingly demanding more frictionless and seamless shopping experiences (thanks to our growing online habits), physical retail is under the spotlight to up its game by mirroring online data mining. Unsurprisingly, José Neves, Farfetch founder & CEO, says he is a huge believer in physical stores and they are not going to be vanishing anytime soon. ‘Physical retail accounts for 93% of sales today, and even with online growing at fast speed, it will account for 80% by 2025. Retailers need a way to collect information about their customers while they are browsing in-store, just as they collect data from online searches, says Neves. 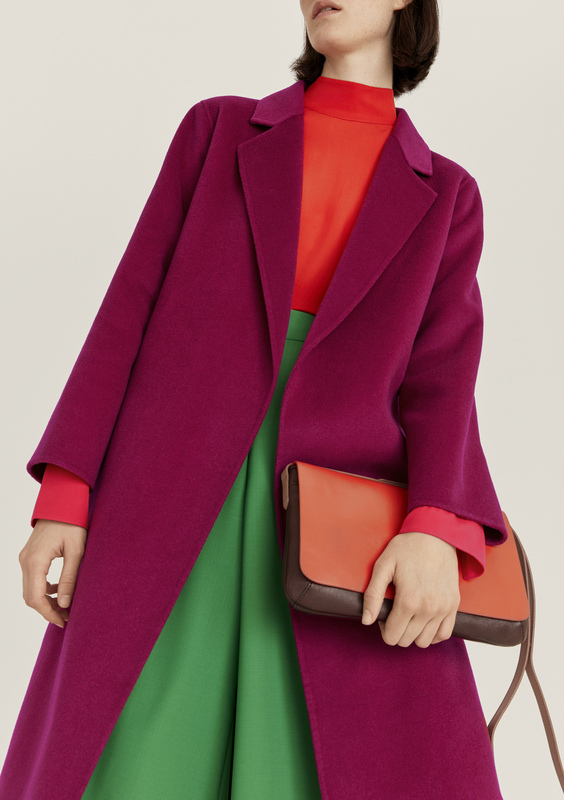 More to the point, and according to a new report by market research firm Bain & Co (in partnership with Farfetch), just over 70% of high-end purchases in stores are influenced by online research first, making the physical store ‘critical’ to the future of retail. Neves calls this new era of retail ‘augmented’, or a time for brands to use technology in-store like an ‘offline cookie’ that closes the loop between a store’s online presence and the experience of customers shopping in-store. 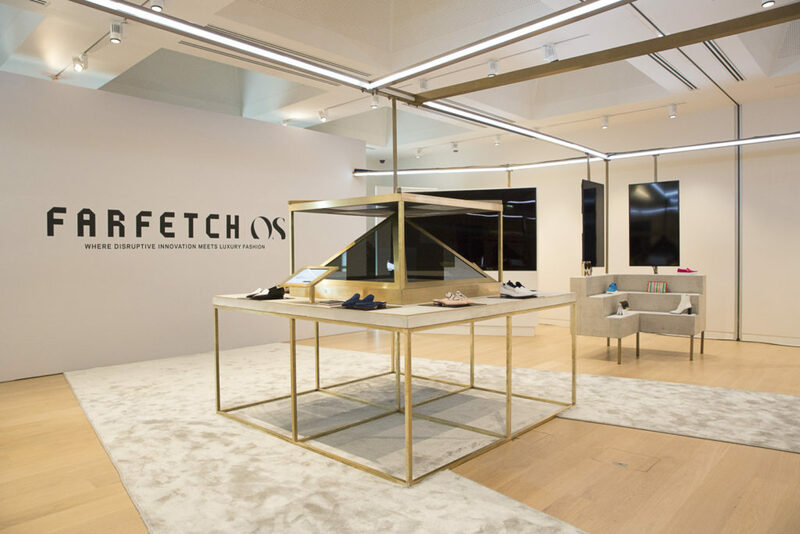 An understated grey marble and blonde wood pop-up store structure, complete with LED lit walkways and Perspex walls was installed at London’s Design Museum for last week’s FarfetchOS one-day event, which served as the first physical manifestation of the Store of the Future concept. Fellow members of press and brands were given tours of how the retail tech would be implemented, with Farfetch senior management explaining the intricacies of the RFID (radio-frequency identification) enabled merchandise system that picks up specific human movements and digitally adds pieces browsed by customers to their personal app wishlist. The app also allows the sales staff in-store to pull up new merchandise notifications, and assist on more detailed personal preferences once a customer is satisfied with their selection. 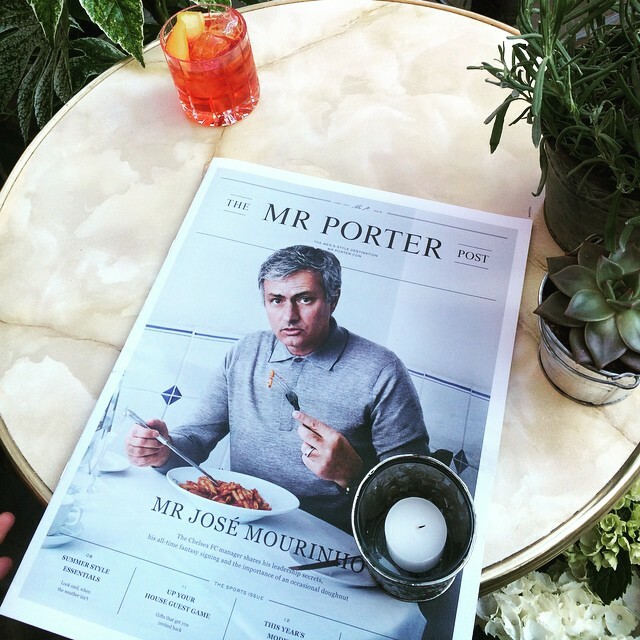 This frees up sales staff from being stock pickers to being what Neves calls ‘instore influencers’. Each customer is assigned a dedicated connected changing room and mirror display unit and this is where the technology allows the store staff to ‘dynamically’ update wishlists, order out of stock items, or even call up related recent purchases. Meanwhile, all this information is stored by Farfetch’s team of data analysts and shared with partner retailers. Of course! The mirrors also support frictionless payments – for example Apple Pay or credit card details stored in each customer’s universal login. 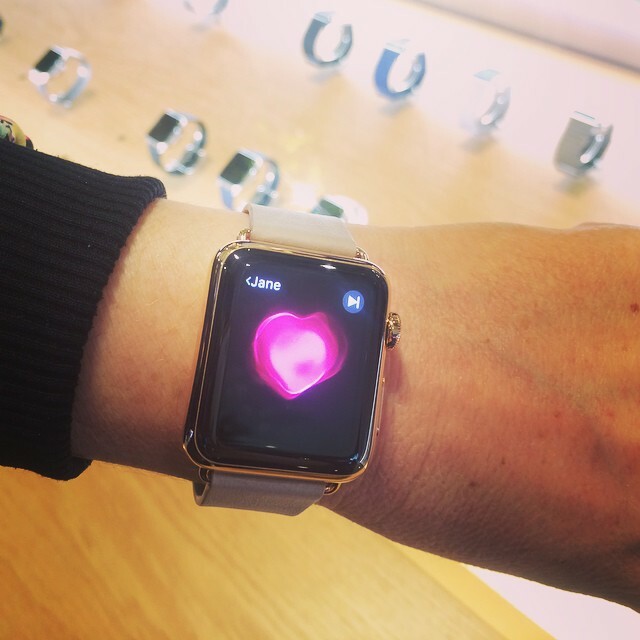 “For busy customers, the future of in-store payments is one touch and go,” says Williams. Complementing the Store of the Future concept, Farfetch also introduced a customisable product station in collaboration with shoe designer Nicholas Kirkwood, where customers can use the app to design personalised loafers in a range of colours, fabrics and monogram options. One of the Bain research highlights was that consumers say they want more influence over the products they buy, and this type of personalisation service allows more “signals about the customer,” according to Williams. 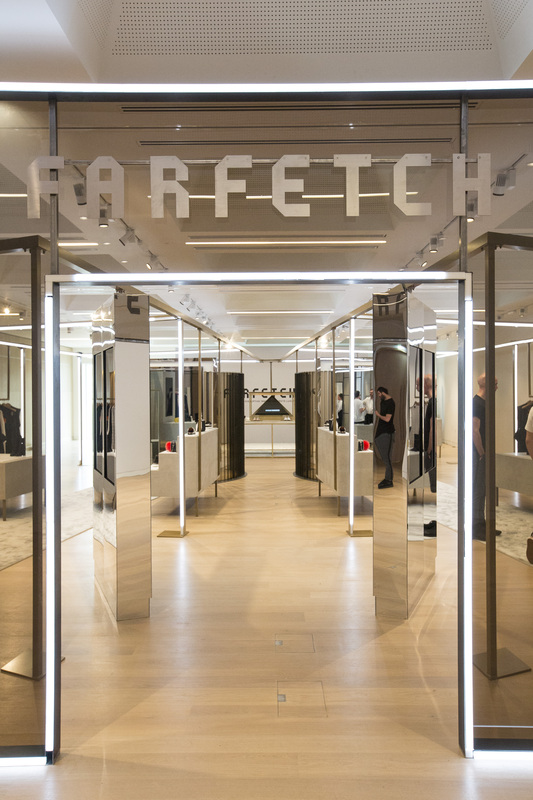 The launch of The Store of the Future concept was essentially a sales pitch for luxury brands to buy into it and partner with Farfetch. The full range of technology options is still in beta and will be tested this autumn in the Browns boutique in London and Thom Browne’s flagship in New York. Going forward, other brands and retailers can choose which of the modular technologies they want to incorporate in their stores. While I’m a big advocate of phygital retail and welcome the march of new tech applications that enhance my shopping experience, the compromise seems to be that consumers are increasingly being asked for their data in exchange for more personalised shopping habits. 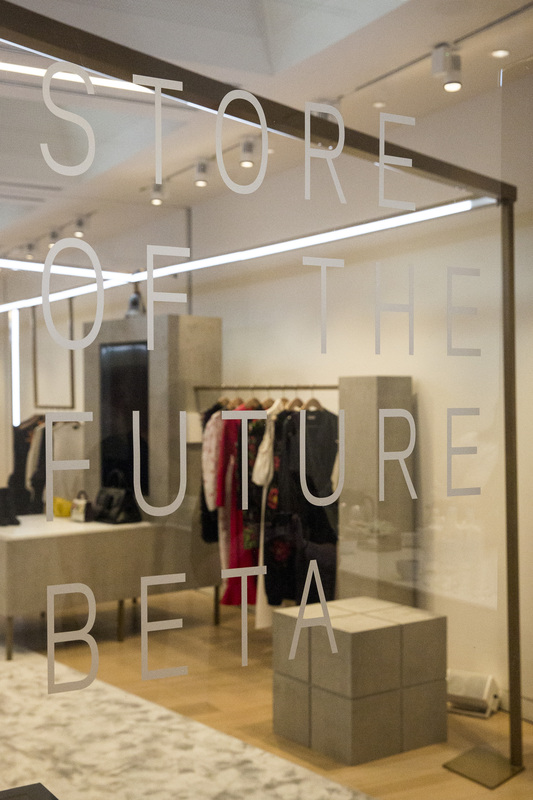 The Store of the Future concept by Farfetch promotes retail for the convenience age. Time-poor and cash-rich, global jet-setting HNWIs like to keep it frictionless and fast, without much room for serendipity. But does convenience come at a cost? 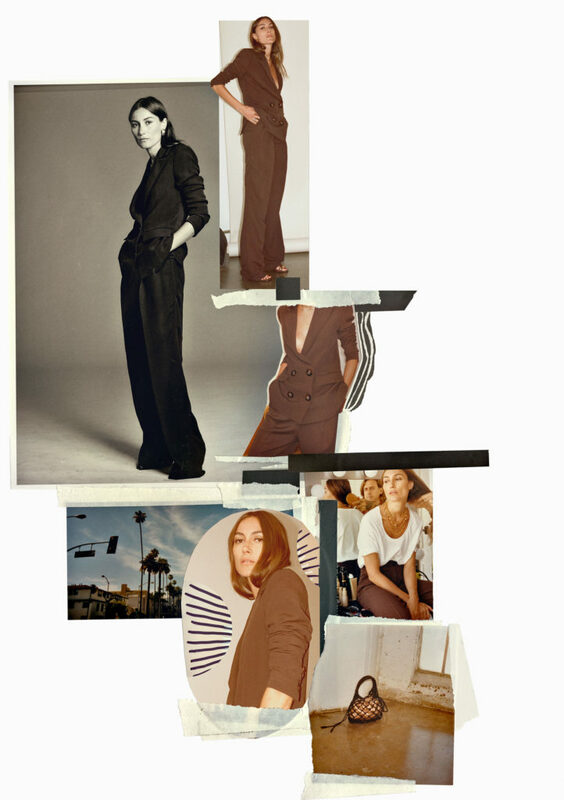 Stepping away from the fact the concept is owned and operated by Farfetch, and is powered by its network of global boutiques, I wonder if this new era of data-centric, customer recognition shopping will percolate further down the retail chain and into high-street territory. 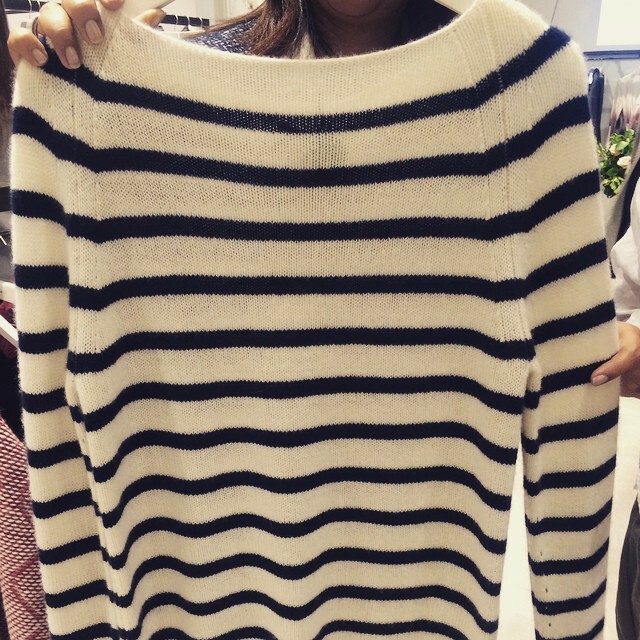 High-end designer stores have more scope on high-ticket merchandise and therefore are more service orientated. Much of the Store of the Future activity is geared towards ‘upselling’, which might work for mid-market or premium high-street brands, but not so much, once price dictates less one-to-one customer interaction. However for the purposes of FarFetch’s aim to be ‘where disruptive innovation meets luxury fashion’, the target is high-end transactions, looking after VIP customers, and a menu of data analytics available to interested parties. Time will tell if the company’s ‘Store of the Future’ concept delivers its promise of merging both on and offline retail for customers and brands alike. 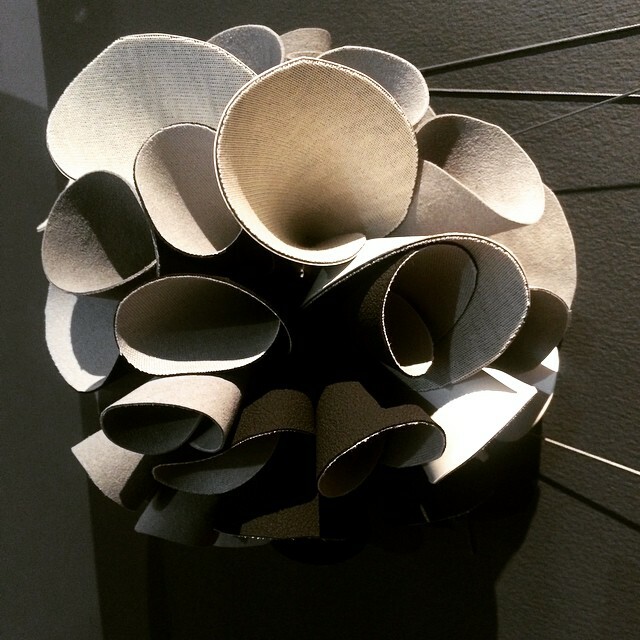 And as the first billion-dollar fashion tech unicorn, it has deep pockets to keep trying. This article first appeared on Disneyrollergirl.